Chasing down an uncertain future, Cassia makes her way to the Outer Provinces in pursuit of Ky -- taken by the Society to his sure death -- only to find that he has escaped into the majestic, but treacherous, canyons. On this wild frontier are glimmers of a different life and the enthralling promise of rebellion. But even as Cassia sacrifices everything to reunite with Ky, ingenious surprises from Xander may change the game once again. 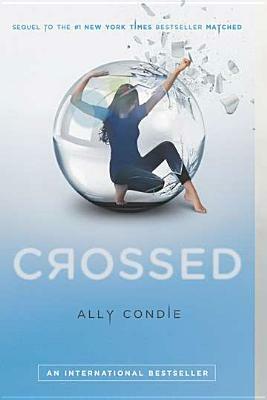 Narrated from both Cassia's and Ky's points of view, this hotly anticipated sequel to Matched will take them both to the edge of Society, where nothing is as expected and crosses and double crosses make their path more twisted than ever. QUOTE: We have all been carved out by our sorrow. Cut deep like canyon walls.